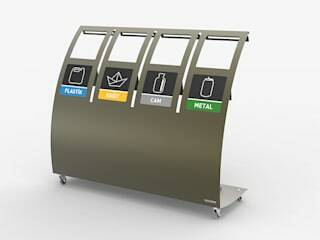 Greenbin is a recycle bin, used for separating recycling waste in public spaces. 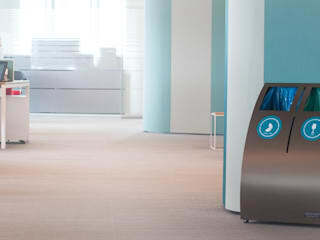 Greenbin’s clever design ensures aesthetic integrity with all kinds of spaces such as schools, offices, shopping malls, hospitals, where you wish to turn any place into a greener venue. Design by Yasemin Artut. All rights reserved Officially registered under TPE. Tasarım Yasemin Artut. 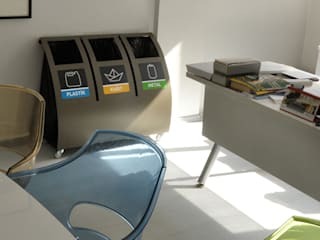 tüm hakları tasarımcısına aittir ve TPE altı~da tescillenmiştir./ Design by Yasemin Artut. All rights reserved Officially registered under TPE.